The Michigan State University Police Department has an international reputation for its proactive-based philosophy of policing that strives to strengthen relationships and engage community partners in developing strategies to reduce crime. 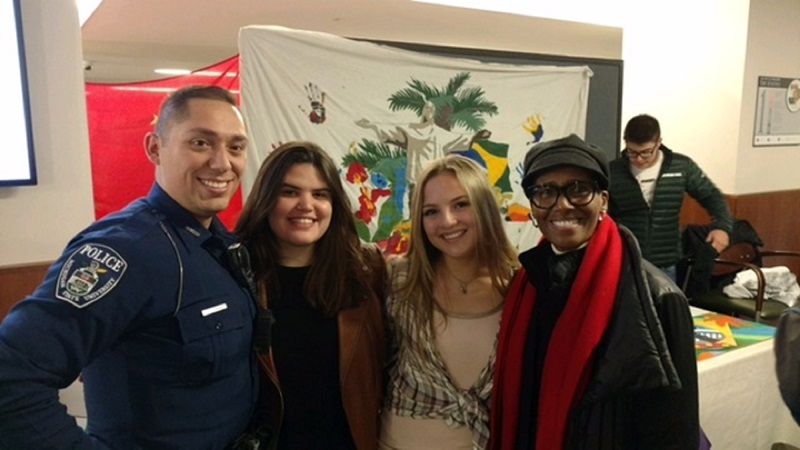 The Unity Through Community Policing concept arranges connections between the community and the Michigan State University Police Department to build emotional association and inspire behavior. It focuses on unity between the police officers and members of the community. Through unity, the goals of the department and the needs of the community can be met providing a safe environment for Spartans to learn, work and live. The Department also participates in the Car Seat Safety Program as a service to our community. To sign up for that program and others, visit the Requests page on this site. Community Team Policing is a manner of policing that involves close interaction between officers and the Michigan State University community. The campus is divided into three geographical team areas. Each area contains two MSU neighborhoods and two satellite police offices. MSU police officers work within their assigned team area, focusing on community outreach and crime reduction. The team concept and other types of policing approaches are extremely dependent on the personal attributes and abilities of the officers that perform the day-to-day police activities. Innovation, creativity, leadership, and communication are all crucial to meeting the goals of the team and the overall mission of the MSU Police Department. Students are encouraged to meet their Community Policing Officers and are welcome to stop by their offices strategically located around campus. An active violence incident is an ongoing assault with a weapon causing death or serious injury of multiple victims in a populated area. These incidents can strike anytime, anywhere, or anyone. Most active violence situations only last 10-15 minutes. This is why it is critical you act quickly and effectively. Today is the day to decide what you will do if faced with an active violence situation. Where will you exit? Where will you hide if you cannot exit? Are you prepared to fight if there are no other options? Deciding today what your options are will enable you to react quickly and effectively. In general, how you respond to an active violence incident will be dictated by the specific circumstances of the encounter, bearing in mind there could be more than one offender involved in the same situation. If you find yourself involved in one of these deadly situations, try to remain calm and use these guidelines to help you plan a strategy for survival. The best course of action when faced with a deadly situation is to get away from the danger. If you can do so safely, evacuate immediately and call 9-1-1 to report the incident. If you cannot safely escape, secure-in-place in a space nearby. Secure-in-Place by securing or barricading doors, turning off lights, avoiding windows and doors, silencing phones, remaining quiet, and attempting to note the offender’s actions. Call 9-1-1 to report the offender’s location if you are able to do so without alerting the offender. If the offender enters your hiding location and you are in imminent danger – act aggressively, yell loudly, throw or use objects as weapons to incapacitate the attacker. Police may not be able to immediately assist you as you exit the area. The officers’ primary objective is to locate the offender and stop the threat. Medical assistance will follow once the threat is neutralized. Keep in mind responding officers may not initially know who the offender is upon their arrival. In an effort to build relationships and improve police-community relations, the MSU Police Department formed an Inclusion and Anti-Bias Unit. 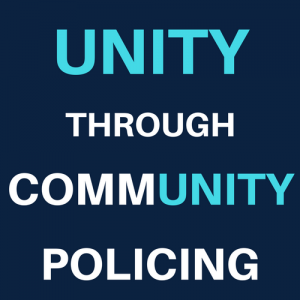 The unit is committed to addressing police and community-related issues associated with bias. The purpose of the unit is to increase trust with the university community by listening to concerns and finding positive methods to solve issues through communication strategies and training. This is accomplished through a variety of methods and focuses on four major tenets, which include education, community outreach, bias incident response and consultations. Through these interactions, we are able to listen, address, and offer solutions to community concerns. MSU is home to more than 7,000 students and scholars from more than 130 countries. Each fall and spring, MSU welcomes new international students and scholars to our community. The safety of these new community members is of utmost importance to the MSU Police Department. As such, the Department plays a critical role in their orientation process, which addresses a variety of safety and security topics. Annually the Department provides information about vehicle and pedestrian safety. This is in recognition that students, faculty and staff from around the world may not be familiar with how to know the law. Great reviews are received from this important work and relationships are built globally.